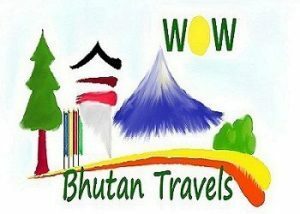 The ‘Journey Across Bhutan’ cultural tour is ideal for those who want to discover the true Bhutan. This ultimate tour explores the cultural valleys of the west, spiritual central Bhutan & the rugged east. Journey to the rugged, remote and seldom visited Eastern Districts. The flight to Paro is one of the most spectacular mountain flights in the world, with a constantly changing panorama of some of the highest mountains on earth. Our representative will meet you at Paro airport exit doors following customs formalities. After lunch enjoy afternoon sightseeing around Paro, including a visit to the Ta Dzong Museum housing many religious relics, works of art and handicrafts offering a great orientation into Bhutan’s historical, cultural, and religious past. Next, visit the Rimpong Dzong to see the painting of the great saint Milarepa. Dzong’s are large monasteries and district administrative centres, which were once strategic forts. Before dinner at the hotel there will be an orientation on Bhutanese etiquette by your guide. Overnight at your hotel in Paro.